As mentioned in other Chapter, ReBOSSIS products designed for US Market have been produced by Kaigen Pharma. Kaigen Pharma and ORTHOREBIRTH signed the entrusted ReBOSSIS manufacturing agreement on May 2016. 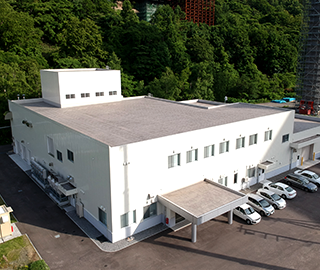 Then since July 2016, Kaigen Pharma has produced ReBOSSIS products in full swing at its Otaru Factory. Thanks to their great expertise and knowhow in development and manufacture of medicines, high-quality ReBOSSIS products have been produced for stable supply. Kaigen Pharma’s Factory in Otaru, Hokkaido. Inside of the Factory. ReBOSSIS are produced here. 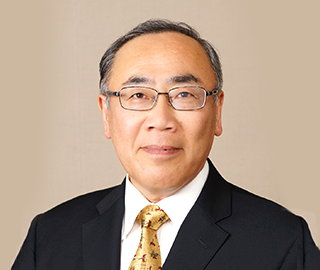 “I found Mr. Yasutoshi Nishikawa a cheerful, lighthearted gentleman free of any worries.” This is the first impression Mr. Fukuda, President of Kaigen Pharma, had when he met our president, Mr. Yasutoshi Nishikawa. “At that time, I came to know Mr. Nishikawa finished my university and also we are both originally from Kansai Region. So, I felt a real affinity with Mr. Nishikawa,” Mr. Fukuda said. Before taking office as President of Kaigen Pharma, Mr. Fukuda diligently worked at a bank for so many years. Throughout his tenure at the bank, Mr. Fukuda completely learned how to judge any new person correctly at the first meeting. “I worked as a bank clerk for 30 years and as a branch manager for 10 years and dealt with so many businesses. As a banker, I should say that a bank worker is required to judge a new customer (in my case, the president of a new business customer all the time) and see through his personality correctly at his first meeting to determine whether or not the new customer is good enough to receive financial loans from the bank. It is not practical or efficient for us to visit the new customer repeatedly before determining the loans. In a way, bank’s financing should be determined based on the personality of a person we loan to, not on the company which he or she represents. Therefore, we are required to correctly judge any new person and see what the person is like, in a very short period of time, at the first meeting in order to check his or her personal eligibility for financing. This is a lesson I learned from a book titled “How to See Through Businesses Correctly” by Yasukuni Ema. When I started to work at the bank, I was told to read this book. This book was as one of the designated books for new employees to read. When a banker analyses a company, the banker should not only check its financial data but also regard the company as an individual person and see through the company president and other workers. Judge these persons by meeting with, listening to and feeling something from them. Then, our judgment should be utilized in the analysis of companies. To correctly grasp what any other person is like, we need to have a frank talk with the person. For that purpose, I have to be the first to talk frankly about myself to the others.” Mr. Fukuda said so. We think Mr. Fukuda as delighted and lighthearted as our President, Mr. Nishikawa. What kind of impression did Mr. Fukuda have about our flagship, ReBOSSIS when he came to know this product, and how did he come to join hands with us in the ReBOSSIS business? “ReBOSSIS is a very unique medical product which any other medical companies do not make or handle. It’s really intriguing. Our business target has been the field of digestive-organ diagnosis, and so we deal in barium and other types of medical products for diagnosis purposes. We deal in various kinds of medicines, but many of them are unfavorably affected by the reduction in Pharmaceutical Pricing and/or generic drugs. So I have wanted to deal in a medical product which will not be affected by such Pharmaceutical Pricing. Simultaneously, I wanted to deal in any good medical instrument as a new flagship to promote our whole business. This is my intuitive idea, bringing me a good opportunity to come to know ReBOSSIS,” Mr. Fukuda said. “Mr. Nishikawa (President of ORTHOREBIRTH) told me that he wanted to make his own company R&D-oriented and that he would like to tie up with any existing manufacture some day in the future. 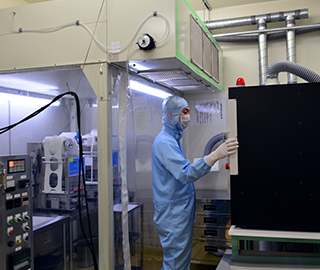 At that time, our Otaru Factory happened to be available for the ReBOSSIS production. It was just a luck for both of us,” Mr. Fukuda said. With the mutual interests between Kaigen Pharma and ORTHOREBIRTH met together, Kaigen Pharma accepted the entrusted production of ReBOSSIS at the request of ORTHOREBIRTH. Then, what business pictures does Kaigen Pharma have to be realized in the future? Mr. Fukuda, President, had a good opportunity to work at Kaigen Pharma about three (3) years ago. Mr. Fukuda looks very gentle and warmhearted. He loves reading mystery novels, especially, James Ellroy, Jeffry Deaver and Arimasa O’sawa. What is Mr. Fukuda’s business principle? “It’s Fair and Equitable Principle among other things: This means that once we make a promise with our business partner, we have to firmly keep the promise by all means. When either of us is forced to change the promise, we have to discuss such change in detail and get fully and mutually convinced of such change in advance. In a B to B relationship, this Fair and Equitable Principle comes first. We have to consistently stick to this principle. That is the name of the game in successful business relationship,” said Mr. Fukuda.